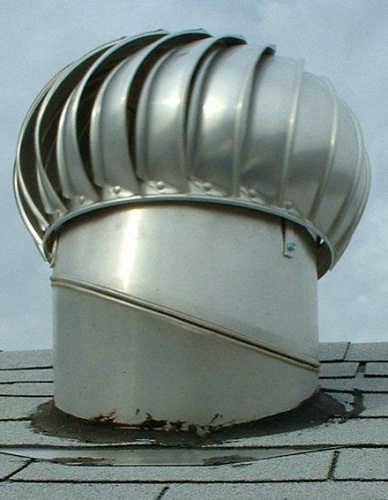 Gravity Roof Ventilators Fans are used to remove contaminated, noxious fumes and hot air as well as eliminate humidity and odors. The least expensive way of reducing the heat in an enclosed area is to vent out the heat and replace it with cooler air. Gravity Roof Ventilators Fans is driven by natural wind while the turbines operate by applying the velocity energy of the wind to stimulate airflow by centrifugal action. The centrifugal force draws out the air through the turbine and replaces fresh air continuously from outside.